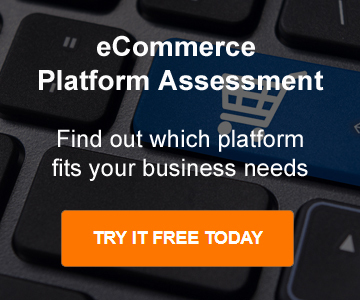 When selecting the right eCommerce platform there are multiple variables that have to be taken into consideration. I’ve read a ton of platform reviews over the years. Some I found to be pretty good, but generally I didn’t like what I found online. Most reviews just talk in general terms such as “the user interface is nice” or “support isn’t great”. I’ve built and managed many eCommerce websites over the years and I can tell you that information is useless. What matters most when figuring out how to choose the right eCommerce platform for your business is looking at the specific details of the platform to see if they: A) meet your current needs and B) if the platform will scale to meet your fore-sable future needs. It is best to anticipate your business needs for the next 3-5 years when selecting a new eCommerce platform. Most businesses can’t accurately forecast their needs beyond 5 years and chances are a better platform will enter the scene within the next 5 years that could be a game changer. Try to anticipate your traffic growth, sales, new features and potential 3rd party system integrations that you will need. This way you can make sure to pick the right platform that fits your business now and for the fore-sable future, while not picking a platform that could potentially be overkill. How to choose the right eCommerce platform is very similar to choosing the right house. If you are a first time home buyer, you better get some consultation from a knowledgeable real estate agent (eCommerce professional) because you probably don’t know the important factors to consider. On the other hand, if this is your second or third website, then you probably already know what the major issues are (pain points) so you can probably express yourself properly to a web firm. Pro Tip: Many agencies and SI partners will convince you to use an eCommerce platform that they know well, even if it isn’t the best fit for your business. This is where is pays to work with an experience eCommerce professional that knows many platforms and can explain the pros and cons of each. 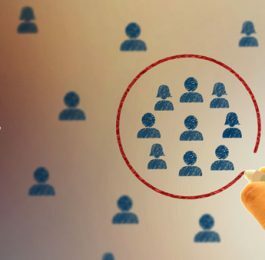 An alternative solution is to do a long RFP process and review multiple platforms and vendors before picking the right fit. 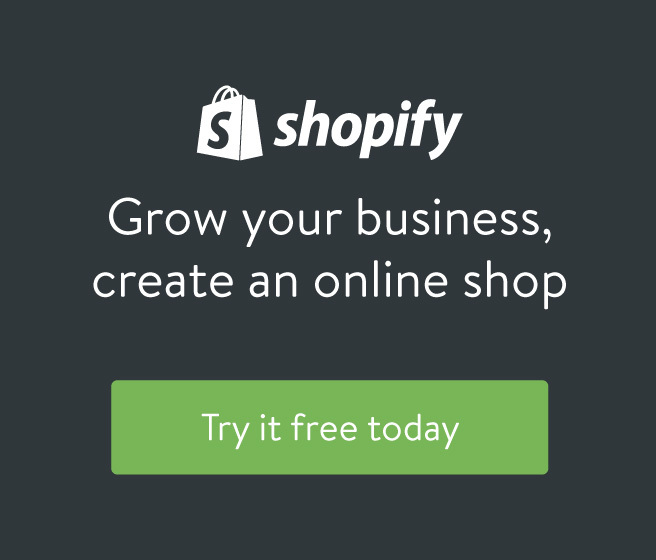 If you want to skip that long process, try out our free eCommerce Platform Selector tool. 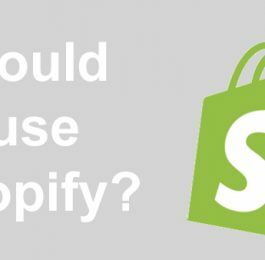 Over the years I’ve been blessed with the experience in working with multiple eCommerce platforms (ASPdotNet Storefront, Shopify, Magento CE, Magento EE, Magento 2.0, Bigcommerce, Volusion, Amazon Stores, ChannelAdvisor, Enfopia, Woocommerce and SAP Hybris) so I got a good taste of each platform and their pros & cons. I’ve also spent countless hours reading eCommerce platform reviews, even platforms I haven’t tried yet, but you really cannot get a good sense of the platform until you’ve used it, or until you talk to someone who has. Do you prefer hosted or self-hosted? Are you willing to customize the platform to meet your needs? I could probably go on and on with other factors to consider, but this should cover most of the major issues that need to be considered. Eventually I will probably write a detailed post on each of the bullets above because each one covered a wide range of additional questions/issues. What I always do with my clients is we sit down and list out all of the functional requirements they need to meet their business needs today. Then we brain storm additional features that they may need within the next 3 – 5 years. Once we have both lists of features, we then pick a platform that can meet the needs of both lists. When you create your list of requirements vs. what you might want, make sure to go over every aspect with the various team members who actually interact with the site (i.e. customer service, product managers, marketing as well as IT). Another factor to consider when considering how to choose the right eCommerce platform is all of the other platforms or systems involved in your entire eCommerce ecosystem and how they are going to interact with your eCommerce platform. For your budget, make sure you consider all costs, not just the initial setup but also hosting and maintenance costs. Internal technical savvy is very important to consider because some platforms are awesome, but requires a high technical skill set to manage the. If you don’t have a technical staff then that platform might not be a good fit for your business. If you work with a third party consultant, they should be able to give you options and guide you to the best platform based on your needs. 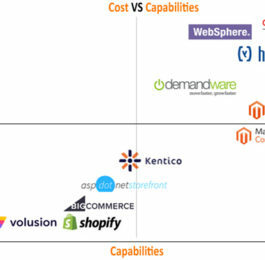 Here is an eCommerce platform feature matrix I put together. I will update this in the future with more platforms and features, but this should help you out if you are considering Magento EE, Magento CE, Kentico, ASPdotNet Storefront, Shopify, Bigcommerce or Volusion. Once you submit your name and email, you will receive a downloadable PDF.